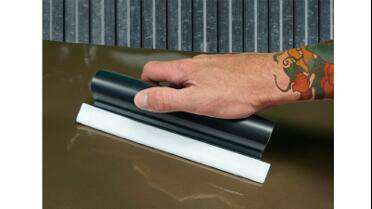 Specially designed 7 1/2" wide squeegee for 3M films with the Comply™ performance features. Felt wrapped edge disperses air evenly for a virtually bubble-free application. Rounded grip is more ergonomically comfortable in your hand, which makes it easy to cover large areas with uniform distribution of pressure.